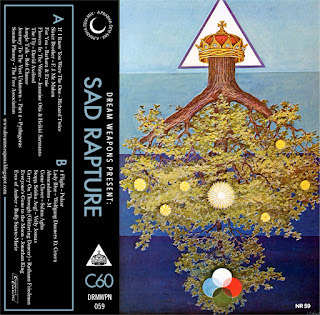 "Sad Rapture is an ironic attempt to bring some melancholic joy to the summer months. Whether its spent listened to as a whole or certain tracks resonate with that inner listlessness, throw off the shackles of winter and baptise yourself in the soothing waters of strange songs. Salvation is not guaranteed, but there is a great white ocean and we must march towards it"
I love this mix so so much!! Thank you very much for the kind words Rex!!! Wow! Thank you so much for the kind words!